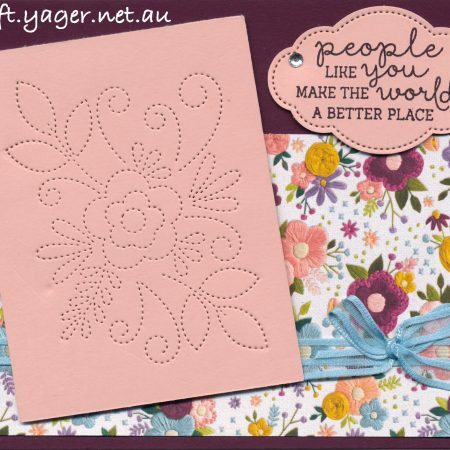 This was another technique that I used in a workshop with Marelle Taylor. I used some Silver Foil and gently swiped the Basic Black inked over it. 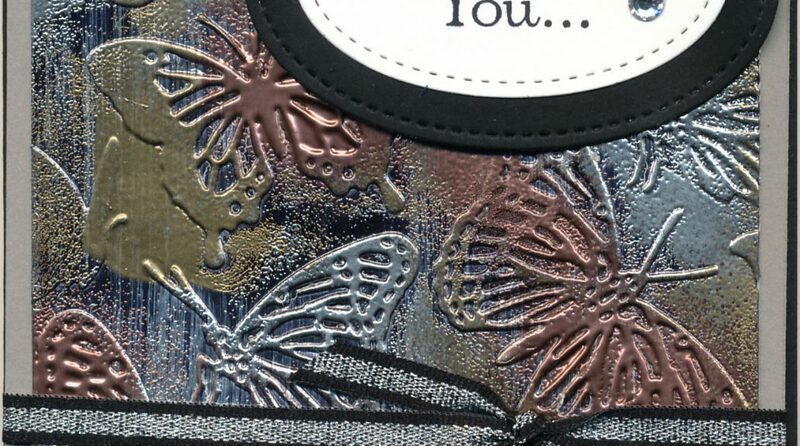 Once it was dry, I used a butterfly embossing folder – not SU – to emboss the foil. 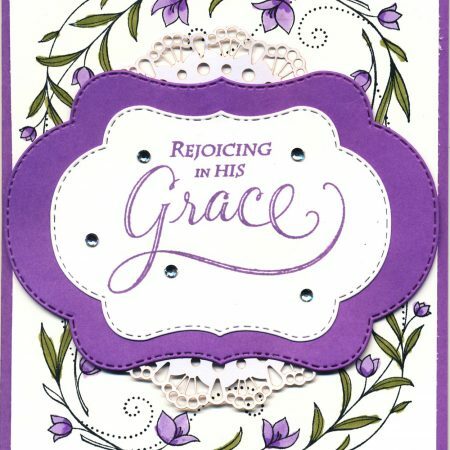 I then used some Versamark ink to lightly rub some of the raised portions of the embossed card. I added embossing powder on these – firstly copper,, then gold and then silver to give it a tarnished look. 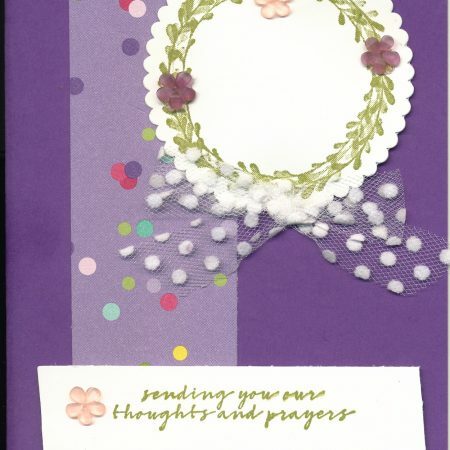 I used the sentiment from Thoughts and Prayers (retired) on Whisper White card and used the stitched oval framelits, I cut it out and placed it on the card. 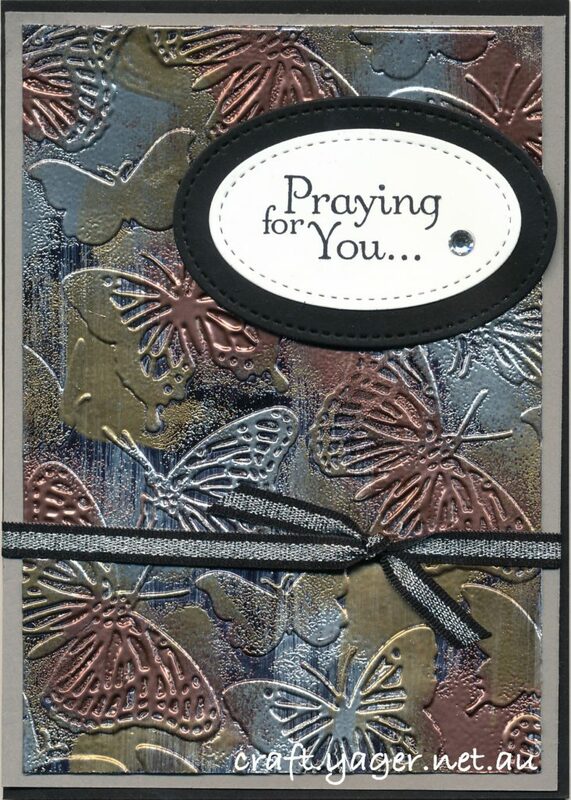 I added little piece of Black/ Silver Striped Metallic Ribbon from the Classic Garage Set in the new Occasions Catalogue to the card and mounted it on Gray Granite and Basic Black cardstock. 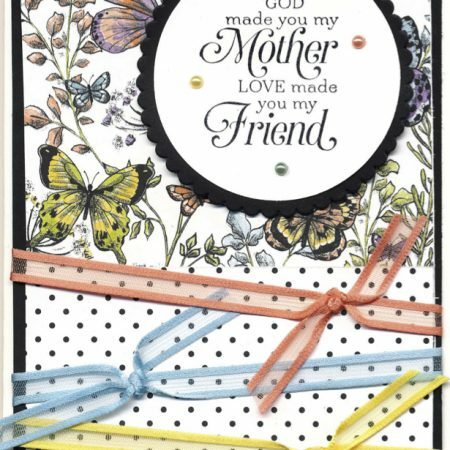 I added a basic rhinestone to the sentiment.